If you have experienced this issue, please visit an Apple Retail Store or an Apple Authorized Service Provider and have your device's serial number checked to confirm eligibility for a battery replacement, free of charge. 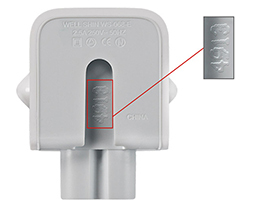 For MacBook owners who provided a valid mailing address during the product registration process or Apple Online Store purchase, Apple will send you a new cable by the end of February 2016. 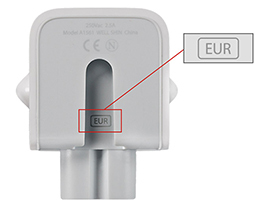 All other eligible MacBook owners should use the replacement process below to receive a new USB-C charge cable. Please choose one of the options below to receive a new USB-C charge cable. We will need your MacBook serial number to verify eligibility for this program. Learn how to find your serial number here. Find an Apple Retail Store. Genius Bar reservation recommended. Choose one of the service options below to have your iSight camera replaced. Your iPhone will be examined prior to any service to verify that it is eligible for this program and in working order. Customer safety is always a top priority at both Apple and Beats, and we have voluntarily decided to recall this product. If you have a Beats Pill XL Speaker, please stop using it and follow the process below to send it to Apple. In exchange, we will provide you with an Apple Store credit or electronic payment in the amount of $325 USD or approximate equivalent in local currency. We will send you a postage paid box so you can return your Pill XL speaker to us. After we receive it, your Apple Store credit or electronic payment will be available within approximately 3 weeks. Please choose one of the options below for service. Your MacBook Pro will be examined prior to any service to verify that it is eligible for this program and is otherwise in working order. Please back up your data before your MacBook Pro is serviced. Learn more about backup options. Bring your MacBook Pro to a participating provider - Apple Retail Store or Apple Authorized Service Provider. A technician will run a diagnostic test on the MacBook Pro to verify eligibility. Repair turn around time will vary based upon parts and technician availability. You will be notified when your MacBook Pro is ready for pickup. Call Apple and request a postage paid box to send your MacBook Pro to the local Apple Repair Center. A technician will run a diagnostic test on your MacBook Pro to verify eligibility. The repair process takes approximately 5-7 days from the time your MacBook Pro is received at the repair center until it is returned to you. After it has been serviced, your MacBook Pro will be returned to you by mail. Apple is contacting customers who paid for a repair either through Apple or an Apple Authorized Service Provider to arrange reimbursement. If you have not been contacted, but paid for a repair that you think was due to this issue, please contact Apple. Make an appointment at an Apple Retail Store. Note: Your device may be sent to the Apple Repair Center.